Gift vouchers terms and conditions. 1. Gift Vouchers should be treated like cash. They cannot be replaced if lost or stolen. 3. Risk will pass to the customer upon delivery and receipt of payments in full. Sam’s Driving school has no liability for lost, stolen or damaged vouchers once responsibility of ownership has passed to the customer at time of delivery. 4. Vouchers cannot be exchanged for cash. Vouchers which are defaced, altered or cancelled will not be accepted. 5. Sam’s driving school cannot be held responsible for failure to meet its service obligations when any failure is brought about due to some cause totally beyond its reasonable control. Examples of this might include: acts of God, trade disputes; governmental intervention, fire, flood. 6. Refunds on vouchers will be given if requested within 28 days of purchase. 7. Vouchers are not transferable to other parties unless authorised by Sam’s driving school. 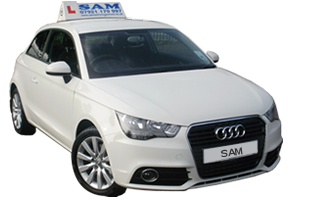 The term ‘Sam’s Driving school’ or ‘us’ or ‘we’ or ‘I’ refers to the owner of the website whose registered address is 43 Whitefield Avenue, Luton, Bedfordshire LU3 3AQ. The term ‘you’ refers to the user or viewer of our website.